At last, VW owners, automobile fanatics, scale model builders and collectors around the world are excited at the opportunity to finally own this piece of motoring history. 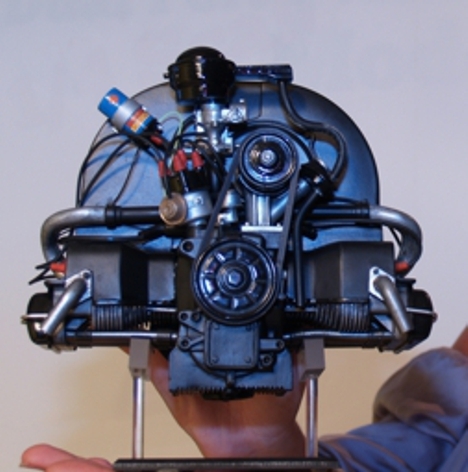 The Weedub 1600 kits are magnificent 1/4 scale models based on the famous flat-4 engine that has powered millions of VW Beetle's, Kombi's, etc around the world to this day. Originally designed by Ferdinand Porsche in 1936 as a 985cc engine, it has evolved throughout the years with only minor modifications, thus maintaining the basic design, shape and mechanical function. Choose from two versions. The Classic kit for the VW traditionalist and The Custom kit for those who like things spiced up. The Weedub 1600 Classic and Custom kits are now a reality. 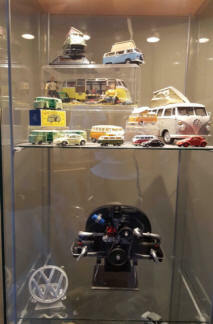 VW enthusiasts, collectors and modellers everywhere are enjoying these sensational models. As realistic as they look, these engines are non-working! Delivered direct from our studio to your front door around the world with Fedex International Express. Let me say right up front that while we build replica automobiles (*refer below) I have no experience working with the very tight tolerances of a model. I can not imagine the amount of work it took to make this kit. Extra time is spent adjusting a few items to fit better, but overall I am impressed with the finished product. As for the instructions. They are clear and the photos helpful indeed. I loved the experience and have an appreciation for just how difficult a challenge making, packaging, documenting, and marketing a product, any product, can be. Your customer service is beyond excellent. Prior to shipping, each piece is inspected for accuracy and quality before carefully being packed and sent worldwide to the lucky customer. Will you be the next? Our Weedub 1600 model kits are easy to assemble. Relax and unwind while you create something special. Using the detailed, easy to follow, full colour assembly guide enclosed with each model, your Weedub Classic kit or Custom kit will be a fabulous static display showing all nuts, bolts, cooling fins, ignition leads, fuel lines and more. A true showpiece and real collectible. Your friends will be amazed. We've done the hard work, now the easy part is up to you. You will not be disappointed. 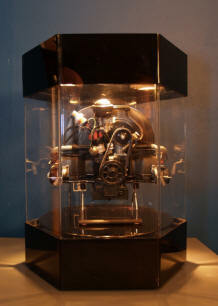 For those who like their VW motors customized, modernized and idolized.........grab yourself one of these. Features: Twin Dellorto style carbs • Ribbed billet valve covers • Billet timing pulleys • Bellcrank throttle system • Alternator • Custom cooling shroud • Billet dizzy •Telescopic spring compression push rod tubes • Custom Oil dip-stick • Real stainless steel socket head screws • Full engine gasket kit, plus more. And when you thought it couldn't get any better, both versions of The Weedub 1600 (Classic & Custom) include the latest upgrades., eg new Display stand, 3D name plate and re-tooled parts for the distributor, ignition coil & bracket, dual port inlets, manifold, carburettor and alternator/generator, for even higher quality and precision. Received the engine kit in good condition this AM. Been awhile since I re-built my VW engine. Haven’t opened the instructions yet. The model looks super high quality; created with 3D Printing? So fascinating to this old balsa modeler! And..."Hats Off" to you for your incredible creation! I will keep you posted on my construction progress. Phil, Read a little further and see that the model is cast in poly. I can only imagine how much TLC you have put into the project! Congratulations on a beautiful piece of art! 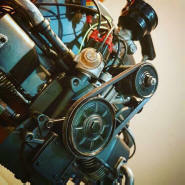 Our mission is to provide our customers with the finest model kits, representing these truly iconic engines, possible. We deliver worldwide from our back door to your front door. Kits are dispatched after full payment has been received and delivered using Fedex Express. No special tools are required, however to assemble your Weedub display model you will need glue & paint. A paint colour guide is provided with the Classic kit for your convenience, however the choice of colour scheme for the Custom kit is totally up to you. That's why it's called a Custom kit. Assembly time varies upon experience and the quality of finish you want to achieve. Suitable for 10 yrs and older. THESE ARE NON WORKING DISPLAY MODELS. THEY DON'T GO PUTT! PUTT! Phil, I've owned 1600 based VW's off and on since I was 16 and have built more than I've owned. I know this is something you've heard about (before), but I'm sure you never tire of hearing...."This is the most accurate depiction of this engine anywhere. Terrific job mate". Web design by ParryArt© All information, images and design displayed on this website belongs to and remains the intellectual property of ParryArt© and shall not be displayed, copied, transmitted or used in any way without the written consent of the owner. The use of "VW" and the name Volkswagen, Beetle and Bosch by ParryArt is for the sole purpose of application and description and in no way is intended to infer or imply any connection with or between ParryArt and our product/s, and the Volkswagen and Bosch Corporations.